Talk all you want about Carlo here. Actor Carlo Aquino's career is definitely on the upswing after he moved back to ABS-CBN late last year. Fresh from his victory at the recent PMPC Star Awards for Movies, where he was named best supporting actor for his performance in the independent movie "Mater Dolorosa," Aquino revealed that he will be part of the upcoming Kapamilya teleserye "Anna Liza." 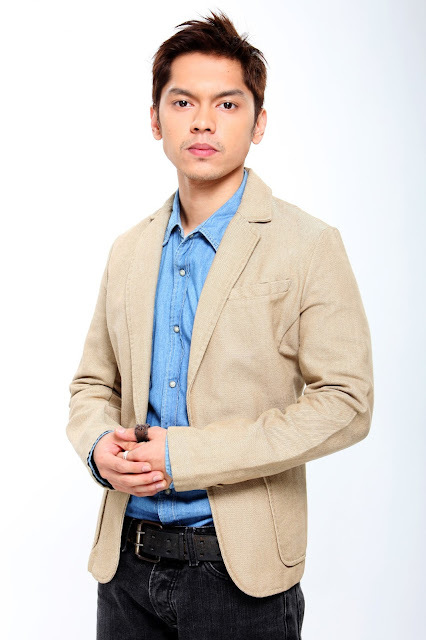 Aquino, who is now under ABS-CBN's talent management arm Star Magic, was recently seen in the early episodes of the hit primetime drama "Apoy sa Dagat." Aquino admitted that he still feels nervous with his new projects with ABS-CBN because of the pressure. "Kasi never naman nawala sa akin 'yon sa bawat role, kapag nagsho-show ako. Sa tingin ko nakakatulong ang pressure. Maganda ang pressure kasi kapag masyado kang kampante ay hindi maganda ang ganoon," he explained. In "Anna Liza," Aquino will play the pivotal role of Macoy who holds the secrets of most of the show's characters. "Ako 'yung kumuha kay Anna Liza, ako 'yung may alam ng halos lahat ng sekreto sa buong kwento. Ako ay contravida/bida," he said. Aquino signed a one-year contract with Kapamilya network last November. Meanwhile, Aquino also said he is open to do a project with former girlfriend Angelica Panganiban, who is one of the prized talents of ABS-CBN. "Aba oo naman, kasi siyempre pagkakataon na maka-trabaho siya at nakaka-miss din na makatambal siya," he said. If given a chance to do do a reunion project with Panganiban, Aquino said he would like do mature role. Panganiban and Aquino separated back in 2003. Suwerte ni Carlo Aquino na nakumbinsi siya ng namumuno ng Star Magic na bumalik dito. Na-realize siguro nito na mahusay na aktor si Carlo at magiging asset ng Star Magic. Hindi na siya nahirapan dahil gusto naman siguro ni Carlo na talagang magbalik-network.